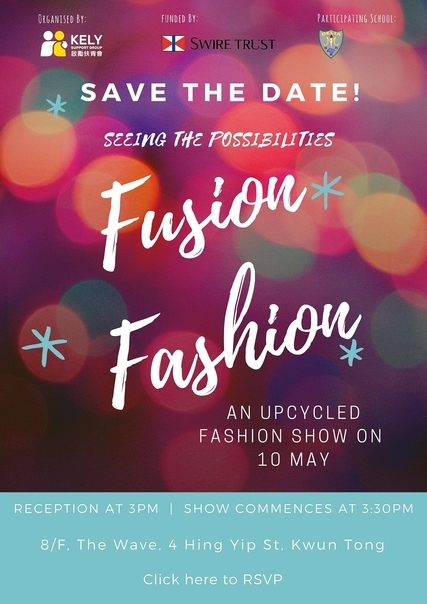 The "Fusion Fashion" Upcycling Fashion Show, presented by KELY Support Group (KELY), was successfully held on 10 May, where 54 local and ethnic minority students designed their own creative fashion pieces, planned the show themselves, and rocked the runway with confidence and class. Funded by The Swire Group Charitable Trust, our Seeing The Possibilities Programme gives young people exposure to the fun of fashion design and event management, whilst developing their life skills and communication skills. Click HERE for pictures of the fashion pieces and the event. KELY Support Group (KELY) is a non-government funded bilingual organisation which provides support to youth between the ages of 14 and 24 in Hong Kong from Chinese-speaking, Ethnic Minority and English-speaking backgrounds. Our mission is to empower young people to reach their full potential. Our email newsletter contains the latest news, viewpoints and events.